The Efficiency cap allows you to process a large part of the body at once and shave the hairs in one pass. The cap gently tightens the skin, directing the hairs into the shaving unit for a more efficient shave. Power button is easily pressed accidentally during operation. Universal device for removing and trimming hairs on the whole body. The design of the unit ensures the closest and most accurate contact with the skin. It is complete with everything necessary for easy storage and transportation. 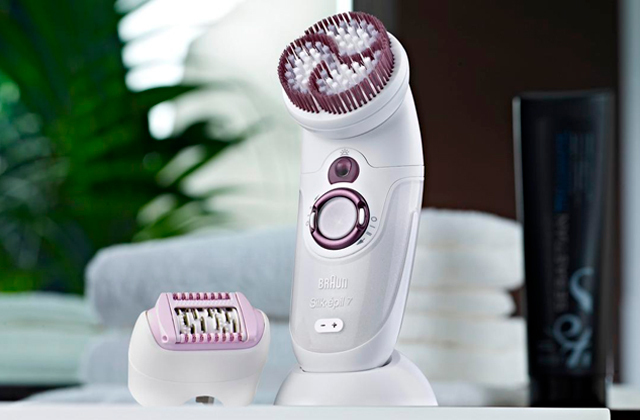 Due to exfoliation attachment which removes dead skin and prevents hair growth, you'll get delicate and thorough shaving every time you use Braun Silk-epil Lady shaver. To plug the charging cable into an ordinary socket, you'll need an adaptor. On choosing this razor, you'll get a perfect tool to get rid of unwanted hair in bikini line, legs, and armpits. The attachments that come in the box will provide gentle shaving and leave your skin soft and smooth for a long time. The device has a well-thought-out effective shaving system - on the sides of the floating mesh there are Curved blades for shaving hard-to-reach places and Straight blades for removing hair on legs or hands. 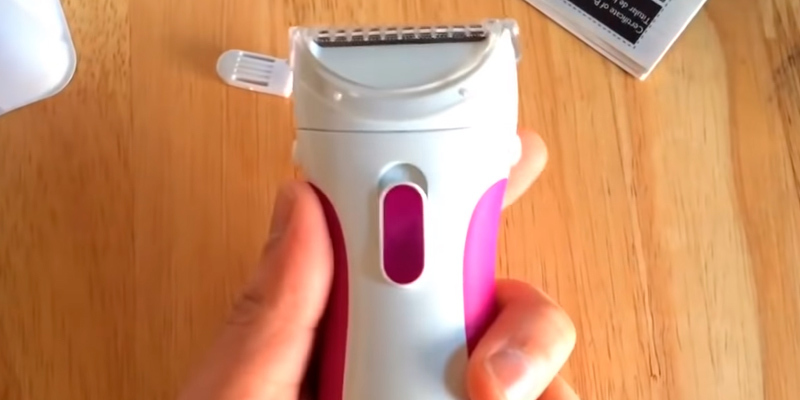 An electric razor that you can take with you everywhere. Thanks to the usb connector, the device can be recharged, even from a laptop or from a power bank. The built-in guide lights ensure a smooth and effective shave. The waterproof body makes the use of this razor safe even while bathing/showering. Anti-slip design significantly adds to the razor's usability. Battery life isn't very long. Designed for wet and dry shaving, the Remington WDF4840 perfectly contours your body and leaves no chances for undesired hair to grow. Now you can forget about many hours of recharging, binding to the outlet and tangling wires - the device requires only two AA batteries (included), which gives you complete freedom of action. The Philips HP6341 is a simple and inexpensive electric shaver with hypoallergenic blades that does the job without extra bells and whistles. 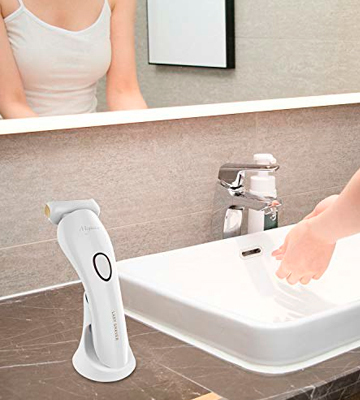 Its shaving unit is small, so you can carefully handle even hard-to-reach places. Depends on types of batteries used. A problem often encountered with women's razors of any type, whether they be traditional or electric, is that they often aren't well made for providing a smooth shave on a woman's body. Many razors seem to be an afterthought when it comes to making them for women, being modeled after men's razors. With the Philips BRL170/00 Electric Lady Shaver, this is certainly not the case. This electric women razor was designed from the ground up specifically for women, and it shows in its performance. This electric shaver features a dual floating foil system on a multiflex head, making it an exceptional razor that works well on any part of the body. The unique blades provide a close but smooth shave thanks to their design, which tightens the skin and directs the hairs directly into the razor. This design makes this razor up to 75 percent more efficient in shaving compared to other razors, giving you the ability to provide a close but comfortable shave in a single pass. This razor is powered by a li-ion battery that gives you up to an hour of shaving time on a single charge, and also features a short 5-minute charge that should give it enough juice to last for quick shaving sessions. If you're looking for a super smooth electric razor designed specifically for women, this model will certainly please you. 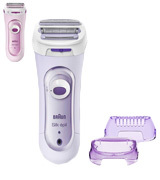 If you have already used electric razors, you’ve probably noticed that most of them boast technologies that help get rid of ingrown hair, and the Braun Silk-epil 5560 is not an exception. 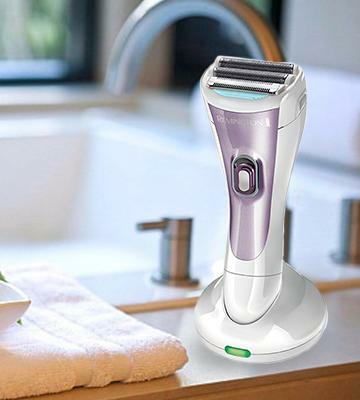 Its double shaving system gives impressive shaving results every time you use the razor. This is possible due to the floating head which precisely contours your body lines. Secondly, the attachments that come in the box also add to the usability. For example, the exfoliation attachment makes your skin smooth by removing its dead layer. And with the unique design of the opti-shave attachment, there is no chance for the tiniest hairs to grow! This electric shaver also includes a trimmer that lets you trim the hairs in hard to reach places, giving you a complete solution for getting rid of hair on any part of the body. The super smooth glide cap will ensure that you get a close but painless shave and exfoliation, making the whole process much more comfortable than it has ever been before. The entire performance of this unit is quite exceptional, making it one of the best products of its type on the market. So, if you want to feel confident and beautiful, don’t hesitate! 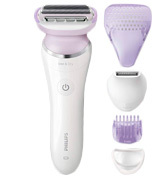 Choose the Braun 5560 Lady Shaver and let your skin be as smooth as silk. A problem that has often plagued razors of any kind is that many of them simply aren't suited to effectively shaving certain areas of the body. Some parts of the body, especially those near joints, can be difficult to shave due to the uneven bumps and valleys that make straight blades less effective. Paying special attention to these areas is usually a must when shaving, as even multiple passes can often still leave hairs untouched. 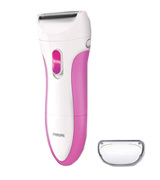 The Megainvo Lady Shaver Rechargeable Electric Razor Women Shaver, however, has been designed specifically to help shave effectively in all areas of the body. 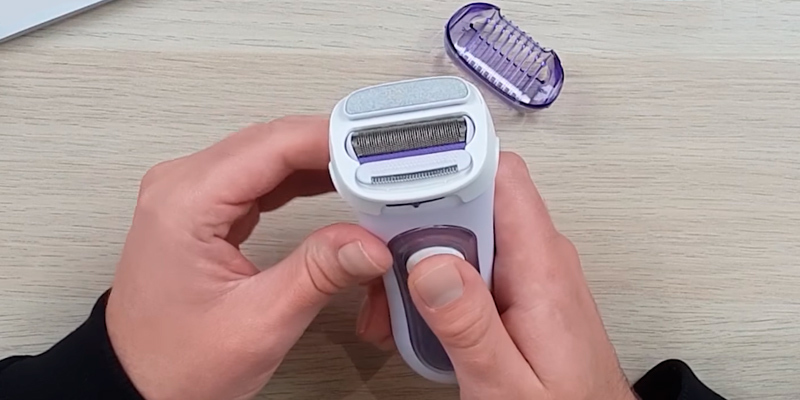 This electric shaver features a unique design with both straight and curved blades, giving you the super close shave on even parts of the skin with the straight blade, and a close and effective shave on the bumpy parts with the curved blades. This lets you get the best out of your electric shaver without worries of leaving hairs untouched. 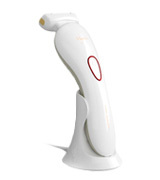 The advanced 3D floating foil also lets the head adjust to the contours of the body, ensuring an even shave everywhere. The waterproof casing lets you use this both as a wet and dry shaver, so you can effectively shave in the shower if you so desire. 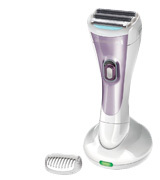 With such superb shaving performance, this women electric razor is certain to win your heart. If quality and usability are the main features you want your electric razor to possess, the Remington WDF4840 is just what you need. Suitable for both wet and dry shaving, this device will meet your expectations. Keep in mind that if you use razor for wet shaving, you need to follow some rules. 1. Apply special pre-shaving product before hair removal. 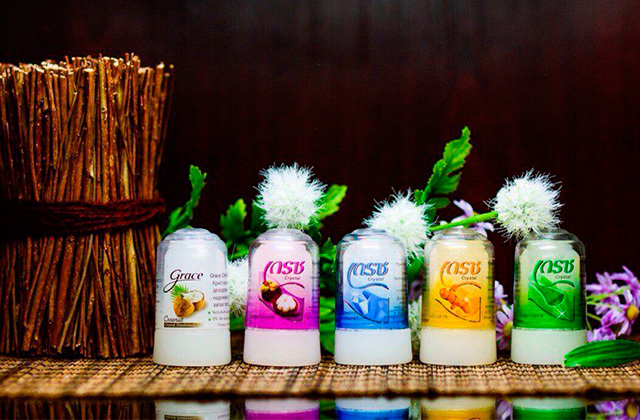 The market is full of shaving aids such as gels, soaps, creams, and choosing the one you like is a matter of preference. 2. Keep the razor angled 90° to the body area you’re treating. It will provide close contact with your skin, consequently, better hair removal. No matter what way of shaving you choose, you’ll always have your skin smooth and silky due to 2 independent floating heads and a triple shaving system. By the way, you won’t spend more than 30 minutes on this process, which is, actually, the exact time of Remington’s battery life. Last but not least, we liked this razor’s usability. It’s significantly aided by a charging stand, a cleaning brush, a storage case, and, most importantly, a non-slip handle which makes the process of shaving nothing but a pleasure. This complete shaving kit should be the one of the best women razors on the market. 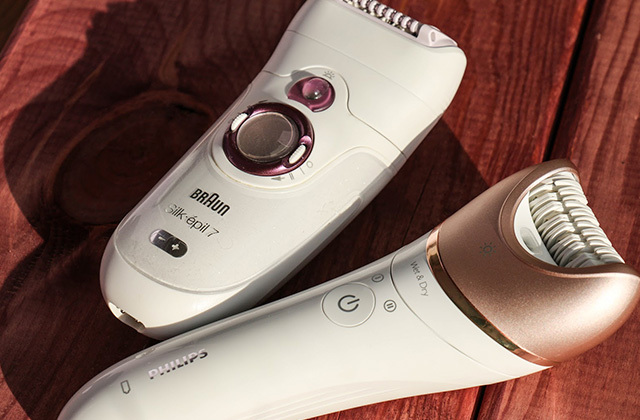 Many of the women electric razors that are on the market try to use tons of extra features as selling points. They often list off many advanced high-tech features that will supposedly give you the best shaving experience possible. 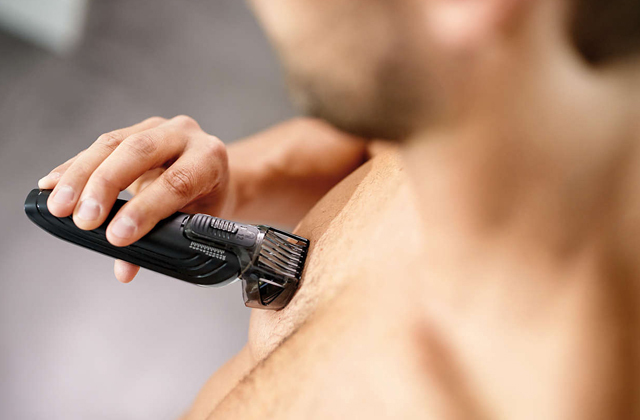 However, once a person buys the shaver and starts using it, they often find that its performance more often than not fails to live up to the marketing hype. Instead, such people who have been burned by this before much prefer a simple device that is effective at what it does, without carrying tons of extra features. 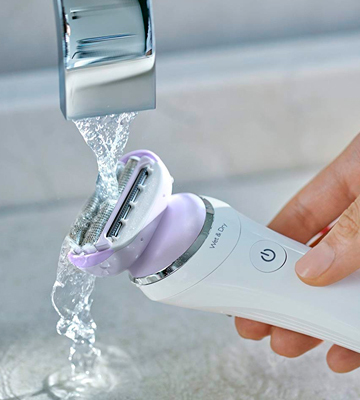 This is exactly what the Philips HP6341 Ladyshave is - a small and simple electric shaver that is made to do its job without tons of bells and whistles. This small device has just the features that you need in an electric shaver. The razor contains a hypoallergenic foil that is quite easy on the skin, leaving it smooth and unblemished and without any kind of irritation. The device works effectively on all parts of the body, providing a close shave everywhere. Unlike many of the other models that you'll find, this one does not use a rechargeable battery, instead operating from 2 AA batteries, which are included with the razor. This gives you complete freedom of operation without having to worry about recharging or being tethered to the mains. The watertight design also lets you use this in the shower if you need to. This simple but effective shaver is the perfect budget model. What Is a Women Razor? Neat, smooth skin is a goal of every girl who takes care of her appearance. In the past, ladies had to endure pain and irritation while getting rid of unwanted hair, but now modern devices come to their aid. Women's razors are designed specifically for the delicate female skin. 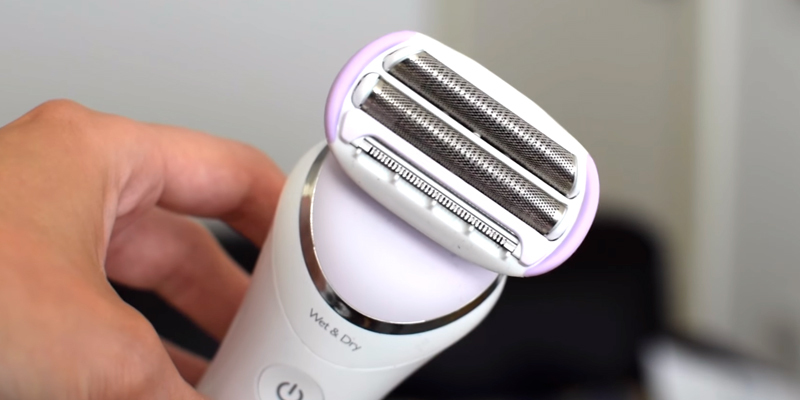 An electric lady razor is a great alternative to traditional lady razors, giving quick and effective results without redness, cuts and ingrown hairs. Due to the grid system, these lady razors are well suitable for use in sensitive, delicate zones too. If you strive for longer shaving effect, pay attention to epilators. The results after epilation usually last for a month or more just like after waxing. You can also opt for laser hair removal systems. They are more expensive but they cause no pain at all. Before you choose a female razor, it is necessary to consider its usability. The vast majority of women electric lady razors come with floating heads. 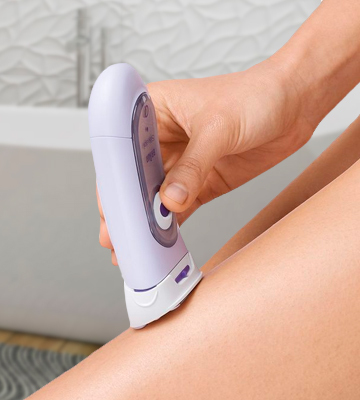 They allow you to precisely contour your body and make shaving more comfortable. The more floating heads a razor has, the better it will adapt to the body curves. A fixed head has an ideal angle for a comfortable shave. Numerous blades greatly expand the possibilities for hair removal and creation of intimate hairstyles. An important advantage of any ladies' shaver is that the shaving blade doesn't contact the skin, so you can forget about irritation. Battery indicator serves for usability and notifies when an electric shaver needs recharging. When buying a lady razor, please note, whether it is battery powered or rechargeable. Electric shavers powered by AA batteries are considered to be more economical, but AA batteries need to be regularly replaced. 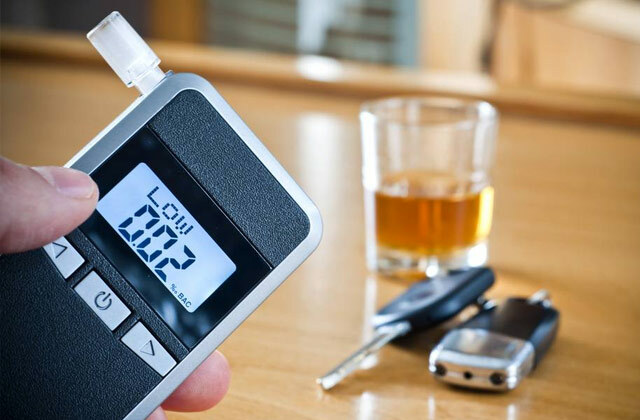 As for rechargeable models, it is important to consider their battery life. Typically, the device on a full charge can operate for 30-60 minutes. This is enough for a few shaves. 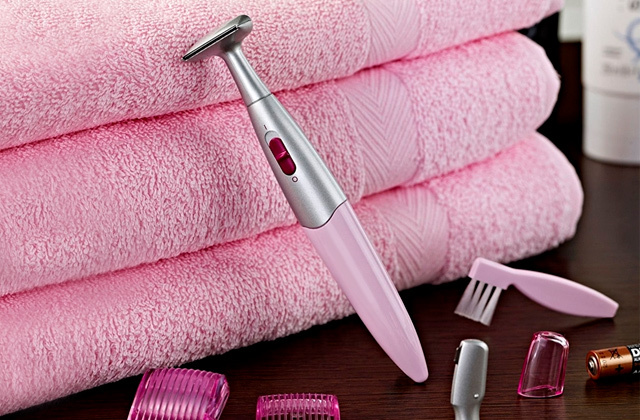 Special attachments allow you to significantly extend the functionality of electric lady razors. They help not only to achieve the perfect smoothness of the skin but also to do the bikini styling. A bikini trimmer, also called a precision trimmer, is a model with a narrower working part, it easily allows you to make intimate hairstyles. A razor is more convenient and useful if the kit includes a head shaver. 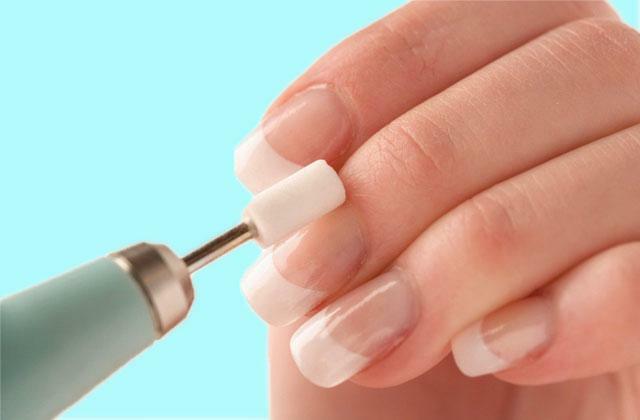 This tool lets you completely remove hairs, giving the skin absolute smoothness. A comb is a plastic attachment that sets over the lady razor, it effectively shortens the hair on the flat areas of the body. 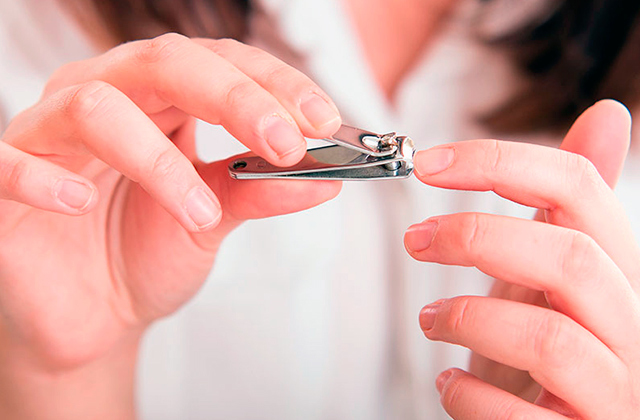 Attachment for eyebrow cutting is indispensable in cases when you need to shape your eyebrows. Another thing you may want to consider before buying a trimmer or a lady razor is whether it's aimed for wet or dry use. Most models are completely safe for use in the shower so if you'd like to get all benefits of using gel and foam, such shavers are for you. Yet there are models designed for dry shaving only. All women's razors contain a variety of additions for extra convenience. A typical kit of any ladies' razor consists of a cleaning brush, a storage case and a charging base. 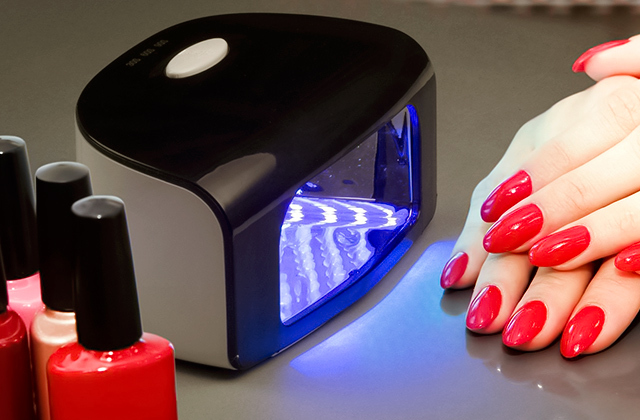 Some manufacturers of electric lady razors also include additional attachments such as exfoliating gloves for body exfoliation, a pair of tweezers with LED backlight, etc. 1. Jennifer A. Freeman How To Choose an Electric Razor, VIEWPOINTS. January 23, 2014. 2. Women's Electric Shavers Buying Guide, eBay. October 1, 2016. 3. Kimbry Parker How to Shave Legs With an Electric Shaver, LIVESTRONG. February 2, 2014. 4. Electric Shaver Buying Guide, Groupon. June 28, 2016. 5. Electric Razor Buying Guide, Consumer Reports. April 2016.